Harold Wilson once said that ‘a week is a long time in politics’- which is really much of an understatement when considering the events of 2016. Who would have thought that we’d see Brexit, a Trump presidency, Corbyn as Labour leader and Ed Balls set to win Strictly Come Dancing just over a year ago? Much has been speculated by pollsters, pundits and politicos on why we are living in such ‘interesting’ political times. However, one factor seems to stand out significantly; a factor that has caught the attention of political academics and commentators alike. A so-called ‘new class war’. The theme of this year’s University Press Week is ‘community’. I’m choosing to write about two University Press-published titles on the working class. Much has been written on the subject of the class from social scientists of all disciplines. Here in Manchester (ok, over the river in Salford…) we have the Working Class Movement Library, which is dedicated to collecting and curating materials relating to the development of working class political and cultural institutions. In theory, I could choose hundreds of academic titles on the subject, but I have chosen these two for several reasons. I believe they provide interesting examples of working class action – from both a historical perspective and in the modern context. They both tell stories on how working class experience has shaped modern UK and US politics- firstly through engagement, but later through disaffection. Most importantly, I think they’re accessible to a wider audience than just traditional academics- both in terms of cost and subject matter. ‘Red Ellen’ Wilkinson by Matt Perry (Manchester University Press, 2015) is by far my favourite academic biography. 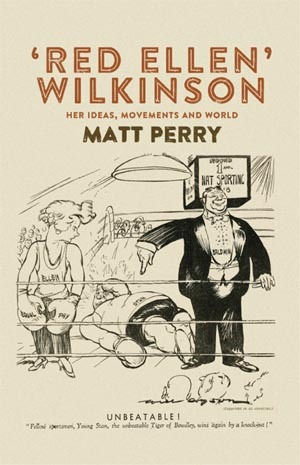 Wilkinson is best known as a Labour politician. Born into a poor but ambitious family in Victorian Manchester, she rose up the political ladder despite her social status and gender working against her. She was one of the first women to service in the cabinet, as Education Minister in Attlee’s Labour Government. But she was so much more than a politician. A socialist, feminist, trade unionist and occasional revolutionary. She wrote journalism, political theory and novels. Her prime concerns were working-class representation, the status of women, capitalism in crisis, war and anti-fascism- themes that still dominate the global political landscape today. Ellen Wilkinson is perhaps best known for her role in the Jarrow March, an organised protest against the unemployment and poverty suffered in the British Tyneside town of Jarrow during the 1930s. Around 200 marched from Jarrow to London, carrying a petition to the British government requesting the re-establishment of industry in the town. While relatively insignificant at the time, Jarrow is regarded by historians as a defining event which changed public attitudes and made way for radical social reform after the Second World War. Ellen Wilkinson’s legacy is surely providing a voice for a voiceless working class in post-war Britain. 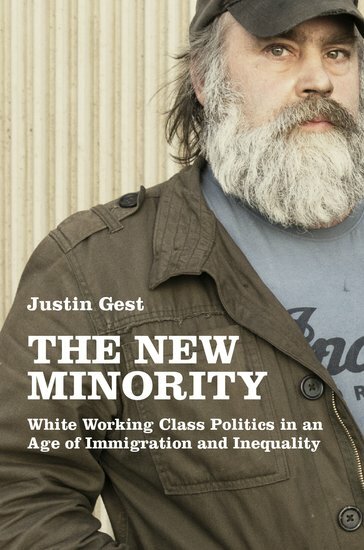 In contrast, Justin Gest’s newly released title The New Minority (Oxford University Press, 2016) addresses the disaffection of white working class voters in the UK and US. Gest’s research is impressive; he uses in-depth interviews with working class men and women from Dagenham, UK and Ohio, USA, as well as survey data to show that Radical Right support is driven by a sense of deprivation- the loss of social status and political importance. Furthermore, he considers the rise of Donald Trump, UKIP, and the European Far Right as a result of this sense of deprivation, both in terms of populist policies and inflammatory rhetoric. Finally, the book addresses the questions that we all want the answers to: Who can appeal to white working class voters? The New Minority is incredibly timely. It will not only help academics and political commentators assess where we are, but also- vitally- what will come next. Furthermore, Gest’s book should be mandatory reading for centre-left and centrist politicians, who will avoid addressing the concerns of white working class voters at their peril. Category: Blog, History, Politics, Publishing industry, Reference	0 Comments.